I think one of the best features of my living room is the fireplace. When my mom owned the house she had it converted to a gas fireplace, which is so much easier and surprisingly effective at heating my home. 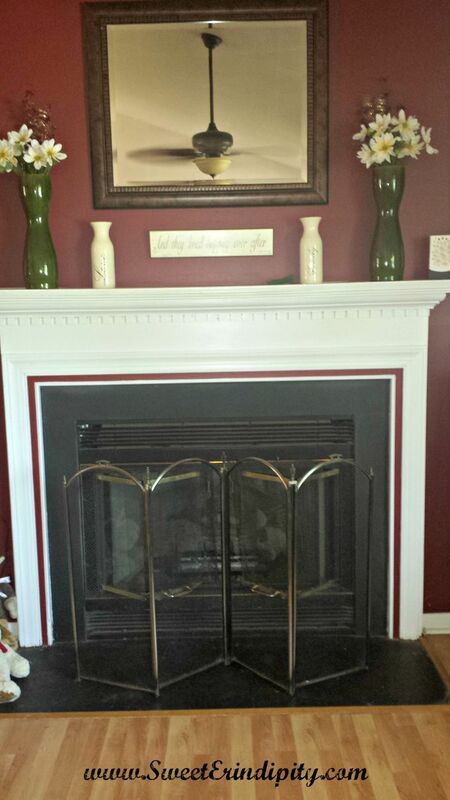 When my husband and I bought the house, we painted the fireplace white and added the red detail (it was originally oak). At the time, that appeased me. But I have always hated the brass detailing on the fireplace, and I decided I had to do something about it. 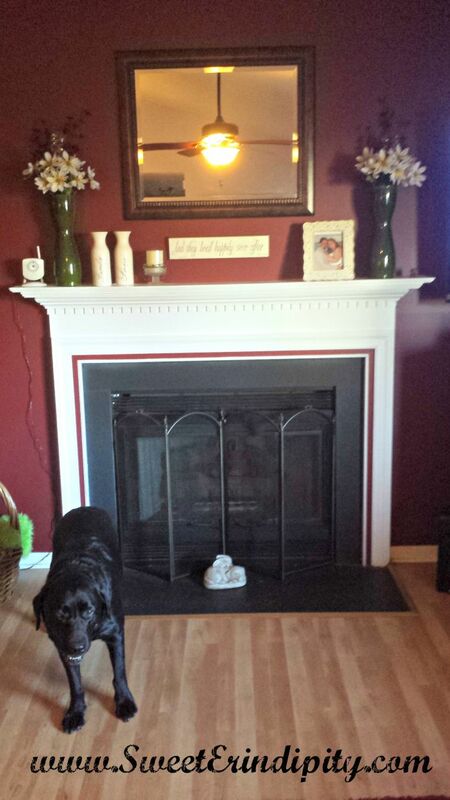 Here is a shot of the fireplace before I started my project. 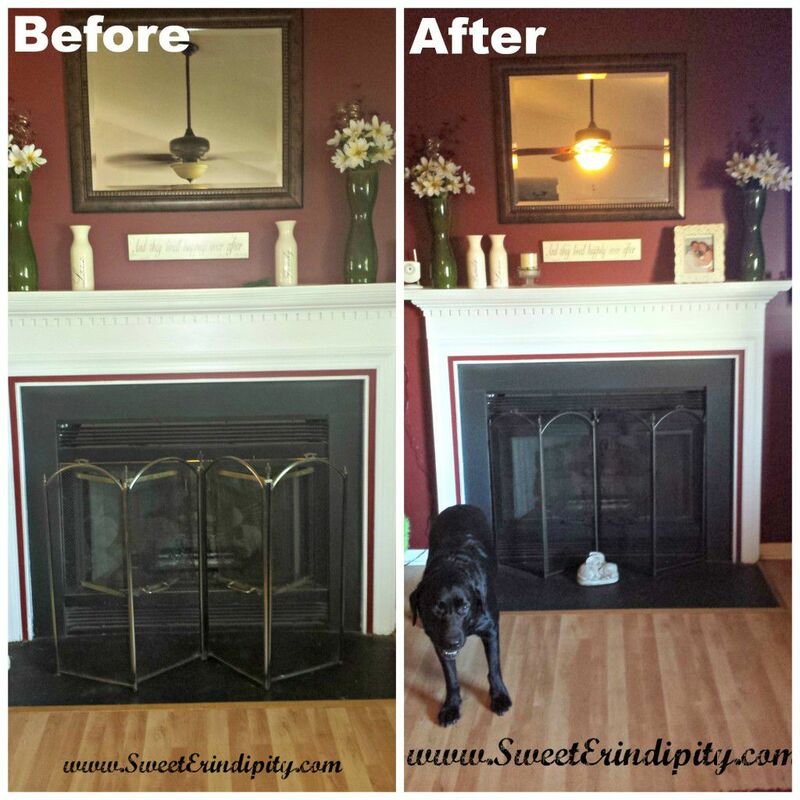 I purchased a Rustoleum high-heat spray paint and painted the brass trim a flat black. Since I was updating the brass trim, I also decided to freshen up the screen. I had looked at new screens but they are not cheap, and there is nothing wrong with this one. So I got myself a can of Rustoleum oil-rubbed bronze spray paint and went to town on it. I am thrilled with the new look! It’s not a dramatic difference, but I think it looks better. Oh, and Bear wanted to say Hi! Here is a shot of the before and after together. « Has it really been that long?? ?